Veterans Day is an official holiday at BannerView.com so it was supposed to be my day off. However, it seems that mainly banks and the post office are the only ones closed in observance with even the stock market being open on that day! Turns out, it was a busy day for me since I had several things to do including an evening networking event to attend. 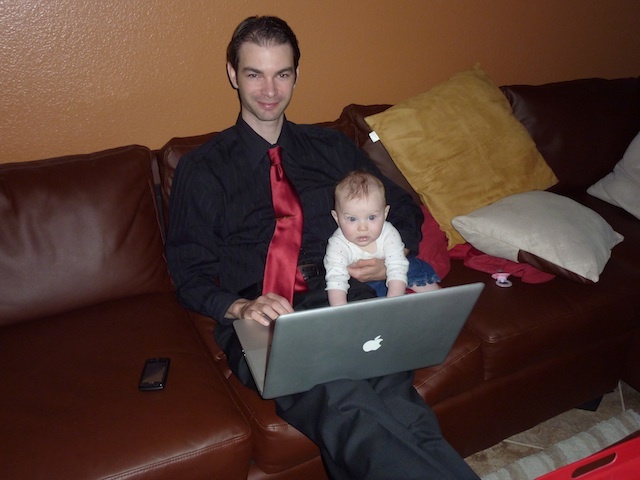 Between events, I enlisted Baby Bell's help with some work. Walking in the presence of gtinas here. Cool thinking all around! YouÂre the one with the brians here. IÂm watching for your posts.